For me, getting stoned has a completely different frame of reference than it probably does for most people. It really has to do with being stoned. Then I woke up and realized that I was the giraffe. A memory from my childhood came flooding back. I recall I was around eleven years old. Some people called me a giraffe because of my long, thin neck. Categories: bullying, Human Rights, Inspiration, Religion, spiritual abuse, women's rights | Tags: abuse, beliefs, equality, fear, love | Permalink. Yes, you read it right. I am looking for a woman. I have been writing this blog for the past five years whenever I feel it tugging at me. Sometimes I am so inspired that I write more than once a week and sometimes there is a lull of several months. I write when I feel inspired to write or when something strikes me as so important that I need to write about it. And, I write when I can squeeze it in between other projects and everything that it means to be a wife and mom. At the beginning of this year I made a commitment to myself to connect with my readers more often and I am now always on the hunt for new content. Part of this commitment is to extend my writing beyond just my own perceptions and include interviews with other people who have experienced polygamy, spiritual abuse and women’s worth issues. Religiously coerced polygyny I understand. 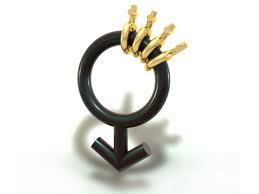 I know far too well the gun that is pointed at women’s heads that forces them to share their husband. A choice based in duress isn’t much of a choice. What I want to understand is why a woman who doesn’t need to share her husband or lover would make that choice. It is a choice based in lack of self-worth? Does she believe that it’s as good as she is going to find? Did she make the choice out of feeling pressured by someone? Was there a fear-based belief driving the lifestyle choice? What kind of woman would invite another woman into her partnership? What kind of woman would invade someone else’s relationship? How is this any different than swinging? How is it any different than a man having an affair that the wife knows about and willingly allows? The reason that I am looking for an ex-poly is that I want to understand all sides of the story. I want to know why she chose to engage in the lifestyle and why she chose to exit it. I want someone who is passionate enough about her perspective that she isn’t afraid to spend a few minutes on camera to share her story with you in her own words. Why, because I think all women deserve to know the truth behind the lifestyle choice. And, I think that the world needs to understand the difference between polygamy and polyamory. The word polygamy has been thrown around lately as the new in buzz word for open relationships. Polygamist relationships and polyamorous relationships are very different things. For starters, one is legal, while the other is not, and for very good reason. One last thing. This needs to be a woman who lives in Southern California. Finding someone who lives a secret life has been my biggest hurdle thus far. Ex-polygamists are easy enough to find in Utah but not so much in California. Here in SoCal I suspect the lifestyle and the openness are more prevalent than other parts of the country, the issue is where to begin looking. As far as I know their aren’t any polygamist bars – that’s actually quite the oxymoron considering most polygamists don’t drink. I’m specifically looking for a woman close to home because I would love to spend some real time with her, heart-to-heart, woman-to-woman, talking about women’s worth, love and relationships. I am also offering my Evolve VIP Mentoring Program, a one-one-one coaching program valued at $5,000, to whoever this well-deserving woman is, as compensation for her time and willingness to share on camera. If this is you or you know someone who is, please send me a personal email to Victoria@VictoriaReynolds.com with the subject line: Ex-Polygamist or Polyamourous Woman Wanted. Categories: Human Rights, Inspiration, lifestyle choice, Polygamy, Self-Worth, Sexuality, women's rights | Tags: beliefs, choice, interveiw, love, marriage, partnership, polyamorous, polygamist, polygamy, polygyny, polymory, relationship, religious abuse, self-worth, spiritual abuse, victoria reynolds, women's rights | Permalink.